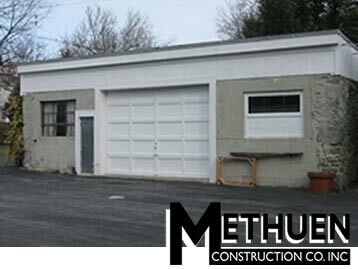 Methuen Construction Company was founded in 1960 by Leon and Elizabeth Asadoorian. The Company had its origins in residential and commercial site construction. In the mid 1960's Methuen began serving private utility companies throughout the Merrimack Valley of Massachusetts and New Hampshire. This is the original office at 90 North Lowell Street in Methuen, MA. 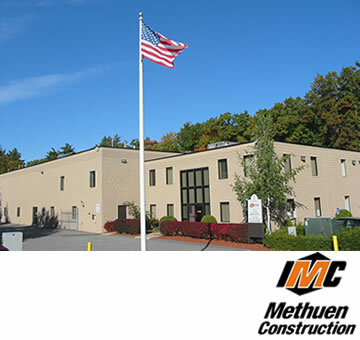 In 1964 Methuen Construction Company grew in scope and diversity doing roadway projects in Massachusetts and New Hampshire while continuing in the private utility marketplace. This is the maintenance facility added to the original structure in 1964. Upon graduation from Northeastern University in 1964, Leon C. Asadoorian assumed management and ownership of the Company. 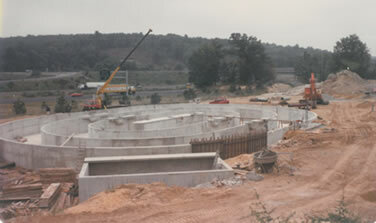 The company built roads and did bridge reconstruction during this next phase of its development. We're Moving - The new larger location at Lindbergh Avenue, Methuen, MA includes 5,500 square feet of office space and 7,100 square feet of shop space with 5 overhead maintenance bays to service our large fleet of heavy equipment and trucks. The 1970's were a transformational period for Methuen Construction as the Federal Clean Water Act was created with a goal to make our nation's waterways swimmable and fishable. It was during this period that the company took on larger and more complex civil construction projects with complex earth support systems, bored and jacked large diameter pipelines. Methuen Construction Company expanded its scope of work experiences with its first major wastewater treatment plant. 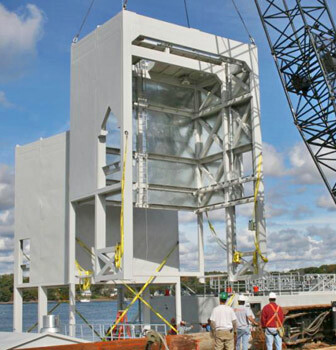 The facility was a new secondary treatment plant treating all of the flows for the town of Merrimack, Massachusetts. Utilizing its own carpenters, equipment operators, and mechanical trades people, Methuen Construction Company completed this project ahead of schedule and below budget. 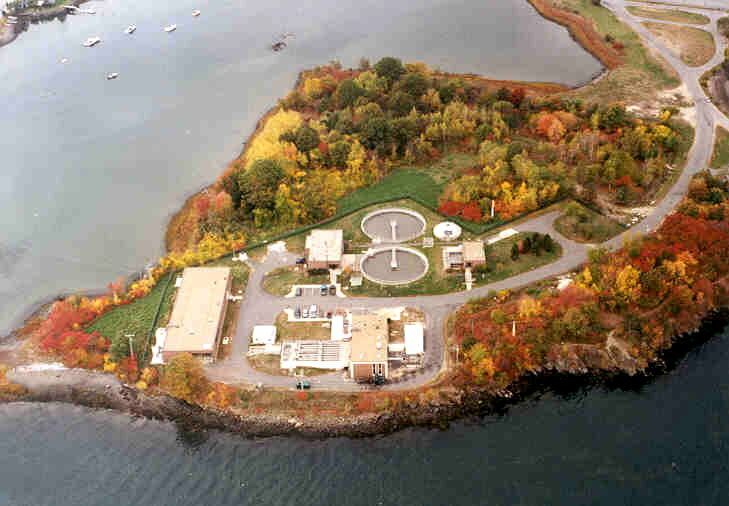 The Town of Merrimack continues to use the original treatment plant equipment and has commented on its flawless operation over the last forty years. 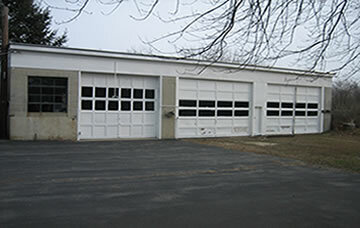 Moving Day - June 25, 2001 - We are pleased to announce our relocation to a larger and better equipped location at 40 Lowell Road, Salem, NH with 13,575 square feet of office space and 9,900 square feet in our maintenance and fabrication facility. As we grow and expand our services, one constant remains - Our commitment to provide the highest quality of construction and design-build services to our clients. This new facility is our proud testament to that commitment. 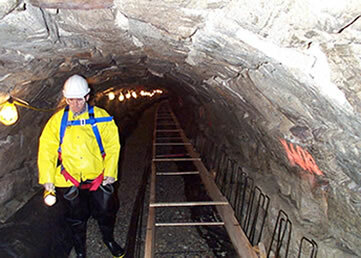 This challenging project located in Lewiston, Maine involved the separation of combined sewage/drainage flow within an old concrete/stone/granite culvert running beneath 125 year old textile mills. Methuen Construction Company's unique design approach to solving this problem created a new sewer line encased in concrete at the bottom of the culvert which would serve as the invert for the drainage to flow over the top. 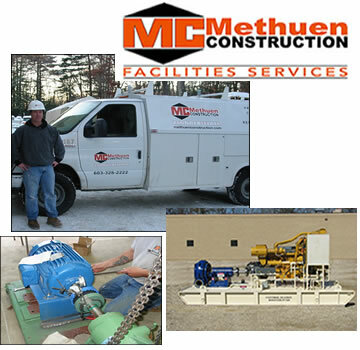 Methuen Industrial Services is created offering a full range of operations, repair and maintenance services to assist and support the ongoing facility requirements for our valued clients. Summit Metal Fabricators was established as a subsidiary of Methuen Construction Company offering custom fabrication including misc. metals, structural steel, process tanks and welded pipe assemblies. 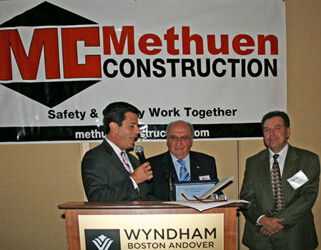 Methuen Construction celebrates its 50th Anniversary. (from the October 18, 2010 Eagle Tribune, North Andover, MA) Massachusetts State Senator Steven Baddour, Methuen Mayor William Manzi and Massachusetts State Representative Linda Dean Campbell were among more than 200 people on hand Thursday evening at the Wyndham Hotel in Andover to celebrate Methuen Construction's 50th anniversary. 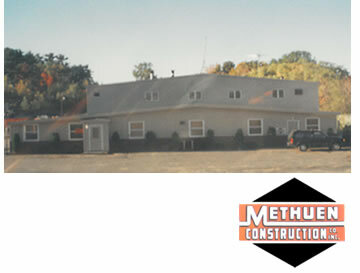 Methuen began in 1960 as a small family-owned business doing commercial and residential site construction. Now it is a full-service general contractor serving clients throughout the northeast. Methuen has won seven Excellence in Construction Awards from Associated Builders and Contractors over the last nine years. The company has also earned Anheuser Busch's Proud to be Safe award and has earned Associated Builders and Contractor's top safety award seven years in a row. 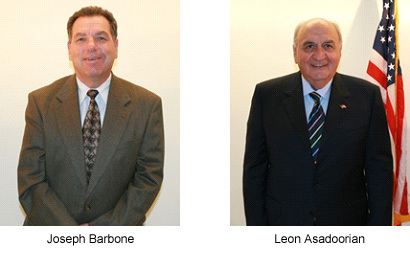 Pictured are Baddour, Methuen Construction Chairman Leon C. Asadoorian and CEO Joseph A. Barbone Jr. In 2014, after 50 years of continuous ownership, the transition of Methuen Construction's ownership from Leon Asadoorian to Joseph Barbone was completed. On January 22nd, 2014 Mr. Barbone became Methuen Construction's President and sole owner. Mr. Barbone has been a Methuen Teammate for over 25 years and was the company's CEO for seven years prior to becoming President and owner. Mr. Asadoorian continues to contribute to Methuen Construction as a special consultant on government relations and public affairs. Under Leon Asadoorian's guidance and direction, Methuen Construction became a leading Industrial Construction Company committed to exceeding the expectations of its Clients, Partners, Employees and the Community at large. Under Mr. Barbone's leadership, those same ideals, values and philosophies of Methuen Construction, along with a total commitment to excellence, continues. In March, 2015, Methuen Construction Co. Inc. of Salem, NH announced the acquisition of a 170,000+/- SF facility in Plaistow, NH. The company will move all three of its divisions (Methuen Construction, Summit Metal Fabricators & Methuen Industrial Services) to the new facility after extensive renovations that will begin immediately. The facility has 6 overhead bridge cranes, 26 roll-up doors, a rail siding and will have 40,000 SF of office space after the renovations. 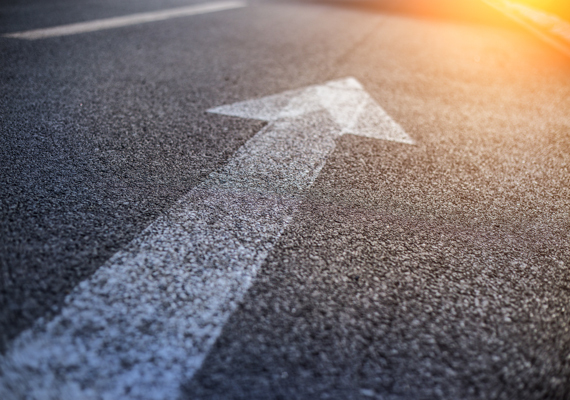 "This expansion is consistent with our vision statement and to further enhance our ability to seek and capture more exciting work opportunities, such as those that are currently in the works. In fact, it will greatly enhance our ability to grow and support these projects. This is the last physical move I believe will be required for quite some time. The last 15 years here in Salem has been rewarding as was the 40 years we spent in Methuen." 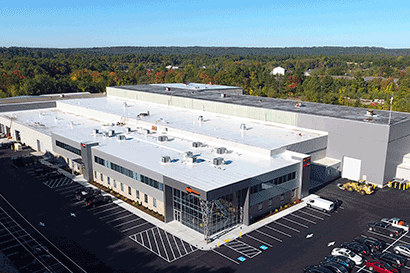 Methuen Construction, Summit Metal Fabricators and Methuen Industrial Services moved into their new state-of-the-art facility in Plaistow, NH on September, 30th, 2016. The facility has a total of 190,000 sq. ft. and sits on 35 acres of land. Summit Metal Fabricators has over 90,000 sf of fabrication space and access to up to 150,000 sf. The new office space, which was built by Methuen Construction, has 36,000 sq. ft. that houses teammates of all three divisions (Methuen Construction, Summit Metal Fabricators and Methuen Industrial Services). The design flow of the upgraded plant is 6.1 Million Gallons per Day (MGD). To further empower and develop a team of highly skilled, motivated and successful teammates consisting of the highest caliber construction professionals, utilizing a technologically advanced infrastructure to achieve sustained growth and profitability, enabling our organization to become the most widely recognized and chosen service provider among our target clients and market sectors across the Northeastern U.S.